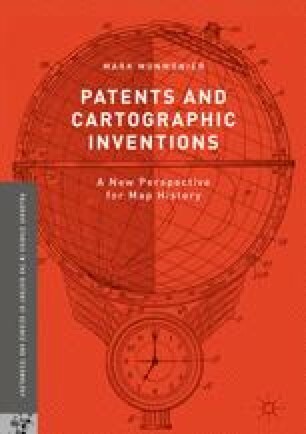 The late John Snyder once observed that patenting a map projection was pointless because a similar projection can almost certainly be found, royalty free, in the public domain. Of the 2551 projections in Snyder’s comprehensive Bibliography of Map Projections (1988), only 14 were patented. These 14 and 7 others identified through visual analysis and the US Patent Classification System largely confirm Snyder’s observation insofar as few of them were developed commercially and none produced significant income. Although several inventors obviously hoped to profit from their inventions, a more likely motive is the need for achievement: one of three basic needs (along with affiliation and power) that social psychologist David McClelland invoked to explain human behavior, in his 1961 classic The Achieving Society.